The ideal home storage solution. How many times have you needed to place precious possessions into storage, only having to clean them up, and dust them down afterwards and then later finding out they have some kind of damage like rust, mold or rot? 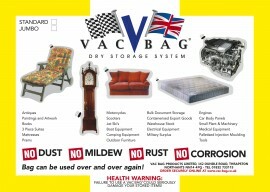 Storage of items such as outdoor furniture, household electrical appliances, kitchen items, DVD's, CD's and even clothes and books can be stored and preserved perfectly inside a VAC-BAG® vacuum storage system making it an ideal home storage solution. 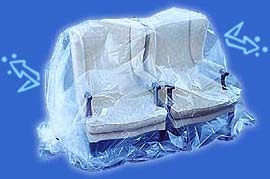 Vacuum sealing bags prevents rust, prevents mold and prevents midew - damp, dust and corrosion will not enter into the equation anymore. 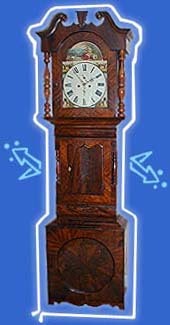 Precious antiques, furniture and ornaments, important filing records or any kind of domestic storage can be sustained in perfect condition for long or short periods. 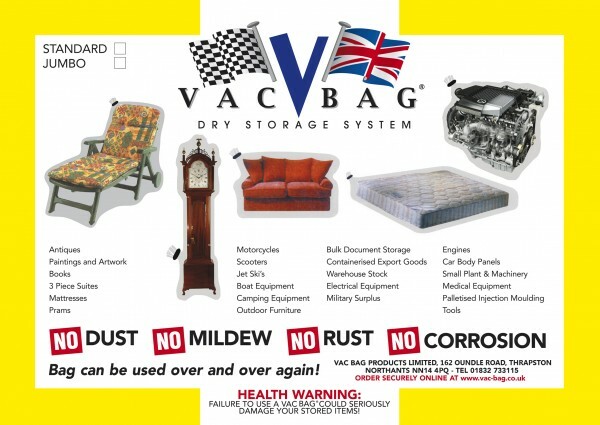 Anything in fact, from Gardening Equipment storage to Work Tools storage, can be perfectly preserved by using a VAC-BAG® vacuum storage system. On the commercial side, vacuum storage of all types of precision tools, including crucial Medical Equipment will benefit from the airtight storage provided with a VAC-BAG®. No matter the climatic conditions or items for long or short term storage; a VAC-BAG® will protect your investments be it in the home storage or garage storage - a perfect allround storage solution.